eBooks and eReaders are becoming increasingly popular because they’re so mobile, convenient and affordable! Hearts on Hold is available from 1 July as an eBook on Amazon, Barnes and Noble and other great book sites (and available for pre-order right now!). But if you don’t have a dedicated eReader, you can still download Hearts on Hold to your PC or Mac with these free applications. If you have a Mac, the process is exactly the same, but with this link: Free Kindle for Mac. Then go to Amazon.com, sign up for an account and sign in to purchase books. 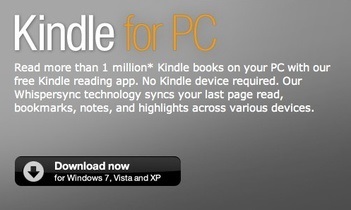 Once you have downloaded your book, simply open the Kindle application on your computer and the book will appear in the Kindle app, either on the desktop or in the location where you saved the app. Alternatively, if you’d like to read an ePub file (Barnes and Noble use these), you can also download the free Nook for PC or Nook for Mac. If you have an iPhone or iPad, you can download the Kindle app here (for iPhone) or here (for iPad). Happy reading! I’d love to hear what you think of Hearts on Hold, so please drop me an email or leave a comment on this site. And to thank Tea Cooper for collating this eReader information, please visit her page on Amazon – she writes wonderful Australian historical and contemporary novels.